Pollo en Blanco, Chicken in White Sauce from Jalisco. Ok, so Diana Kennedy explains that this is called a white sauce because it doesn’t have a colored chile sauce. There were tomatoes in the dish which gave it this beautiful light red color. I changed this dish a little as I got to cooking it. After cooking the chicken in water and thus creating a chicken stock to cook the veggies in I realized I wanted to shred the chicken. I get annoyed with cutting chicken off a bone when I’m hungry and trying to get multiple food items in during one bite. So while the veggies were sitting in the simmering sauce of tomatoes, cumin, pepper, oregano, plantain, vinegar and raisins (weird, I know) I shredded the chicken off the bone. I threw it all back in to cook for the last five minutes and decided I wanted to make it more soupy than saucy. I had a lot of chicken broth left over from the beginning of the recipe and I started to pour it in. The broth turned a beautiful light red color with a hint of oil and thickness to it. BEST SOUP EVER! 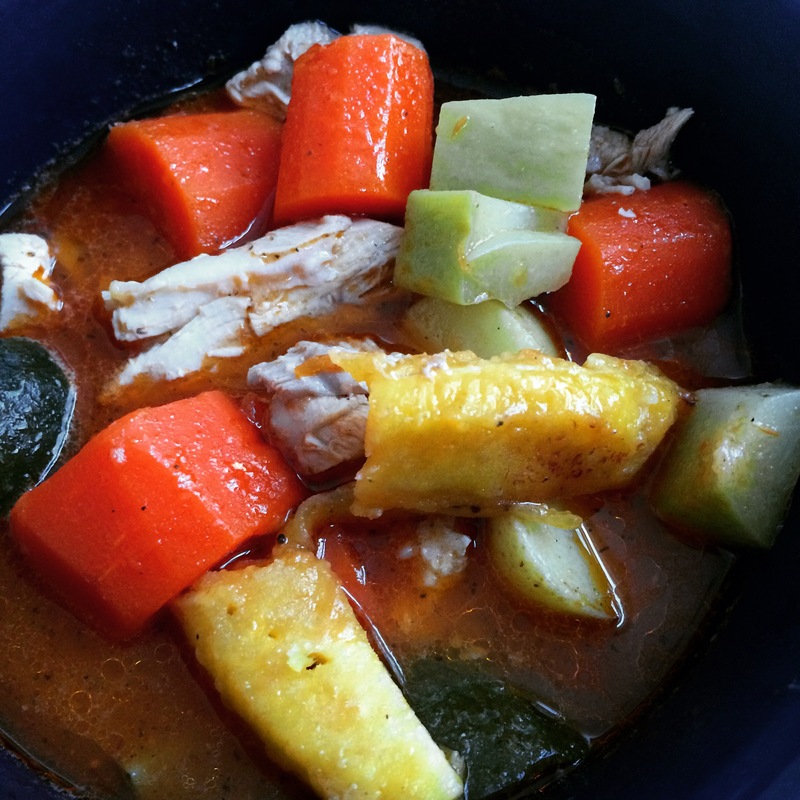 Tons of veggies, fresh chicken and a broth to DIE FOR! I love chicken soup and yours look great!